And when your fingers find her, she drowns you in her body, Carving deep blue ripples in the tissues of your mind. The above lines are taken from the song Tales of Brave Ulysses by Cream, which is inspired by Homer’s Odyssey according to the lazy man’s research assistant Wikipedia. For me however, the couplet has always seemed the perfect description of the intense effect music has when I really allow it inside; it drowns me in its depths, carrying my oft-troubled mind far from worries and leaving ripples in my memories that soundtrack the moments that make up my life. Indeed, these blog entries serve as evidence of the beautiful mind carvings left behind over the years by my treasured music. While he didn’t write them, it was Cream bassist and vocalist Jack Bruce that gave voice to the above words, a portion of which have sat atop this blog’s header since the day I started it. 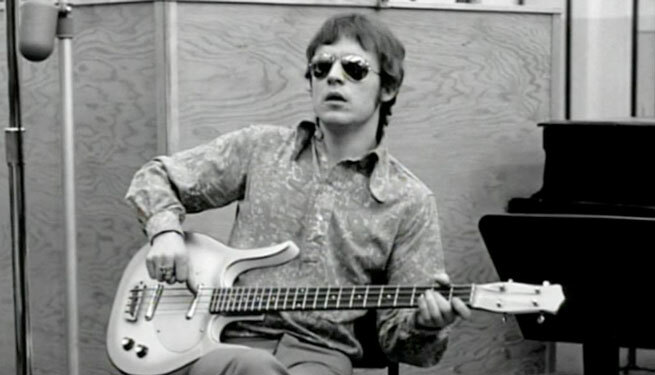 I learned today of Jack Bruce’s death at the age of 71. As I read a few online eulogies and news reports of his passing, I thought about my own experience with his music. While I’m sure there are some other personal reminiscences like mine out there, I have not seen the particular path I took to Jack Bruce cited in any major outlets. 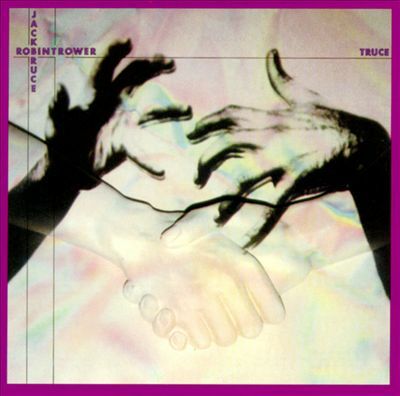 I came to Jack Bruce via his exhilarating early 80s work with Robin Trower. Sure, I had a couple of Cream albums before that, counting the opening one-two punch of Strange Brew and Sunshine of Your Love on Cream’s Disraeli Gears album as ranking among the best heavy rock ever recorded. But at the time, Cream for me was one of the many Eric Clapton projects enjoyed by my teenage self; I was aware of and appreciated, but never really thought much about, Jack Bruce’s role (an error of which I have since repented). 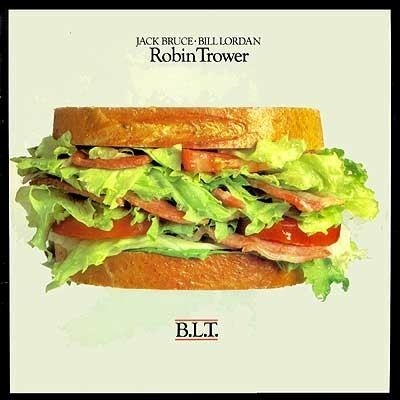 When, in 1981, my then (and still) personal most venerated artist/guitarist/musician of all time, Robin Trower, came out with the B.L.T. 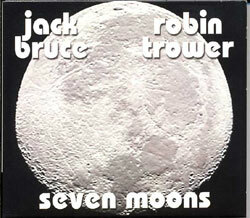 album on which Bruce and drummer Bill Lordan joined him in a power trio format, I began to give Jack Bruce his due. I finally took notice of the unique beauty of his immediately-recognizable voice and the groove of his playing style. His era-defining bass has a funkiness and bounce that can really be heard on the album. In fact, I believe that B.L.T. and its follow up from 1982, Truce, are among the very best recordings of Bruce’s bass available. On both albums, the bass is high in the mix, sharing the spotlight with Trower’s guitar while never failing to provide the bottom-end foundation that holds things together. The separation of the bass and guitar achieved by the engineer is genuinely amazing, and contrasts positively with many other Bruce recordings — such as in Cream’s discography — in which his playing thrills but is often layered within the overall sound, robbing it of some of its torque. Bruce doesn’t get much songwriting credit on either album, but his vocals and bass are integral to each and every song. I’ve chosen below one song each from B.L.T. and Truce, Life on Earth and Fat Gut respectively, that were written or co-written by Bruce. They aren’t the LPs’ best tunes, but I figure they are fitting choices in honor of Jack’s departure from our earthly plane. The third song, End Game off of B.L.T., is a blues scorcher that demonstrates how Bruce’s bass can both support and sit proudly alongside even the most raging electric guitar, showing why so many fantastic guitarists like Trower, Eric Clapton, Leslie West, and Gary Moore chose to make music with him. 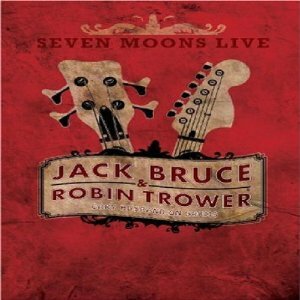 Bruce and Trower came together again in 2009 for Seven Moons, another fantastic album with a relatively more moody and emotional bent than the early 80s records. Unlike those previous LPs, Bruce co-wrote with Trower each of the album’s songs. As a result, they are less insertions of Bruce’s awesome talent into Robin Trower’s music and more reflections of the man himself. The tunes are generally slower and have something of an ethereal feeling, without leaving behind any of their heavy rock legacy. Jack’s 66-year-old voice is as strong and distinctive as ever and, while the bass is not as “separated” as on the 80s recordings, it is still mixed high and forcefully carries its weight. The album demonstrates that Jack Bruce never lost it, was not content to sit on his laurels, and remained a creative and musical prodigy long into his elder statehood. Following the release of Seven Moons, Bruce and Trower, along with drummer extraordinaire Gary Husband, embarked on a short concert tour in Europe. A Dutch show on that tour was filmed and released on DVD as Seven Moons Live. I obtained it while serving a one-year assignment in the Afghan hinterlands, and it gave me many hours of reassurance and joy in difficult circumstances far from family and home. Seeing these two old men — and they were definitely old men as seen in the embedded video below — generating such beautiful, intricate and sumptuous music, and clearly enjoying themselves so much while doing it should serve as a model for all of us. There does not have to be anything sad about aging; the additional fermenting doesn’t preclude our continued ability to learn and create, and to bring joy to ourselves and others. Farewell and thank you, Jack. Your earthly odyssey has ended, but the deep blue ripples remain. Lovely. My folks were lucky enough to see Cream three times in the 60’s and always raved about Bruce in particular. Correction: it was twice. I really liked End Game too. Thank you.